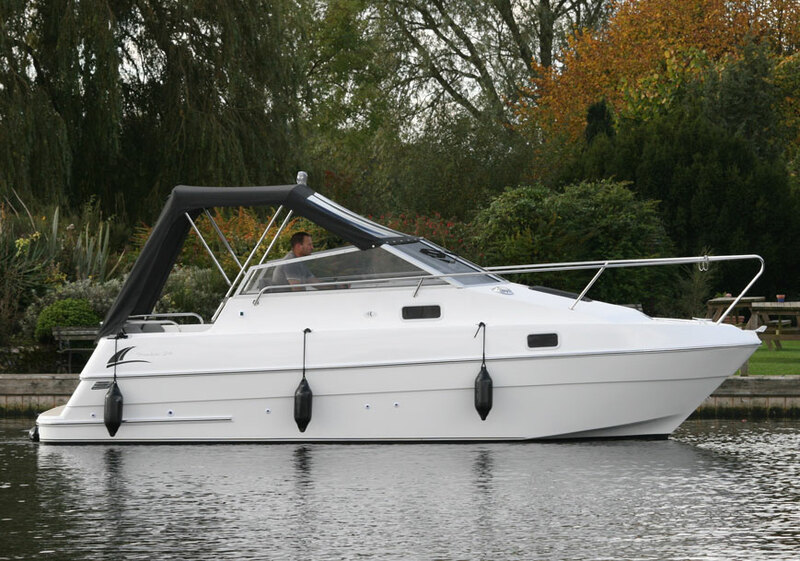 Shadow 24, a river cruiser built to the highest standards featuring a low wash hull with rounded underwater sections. Generous use of soft fabrics and carpets and a choice of wood finishes uphold shadows reputation for quality river cruisers built with over 30 years of experience. 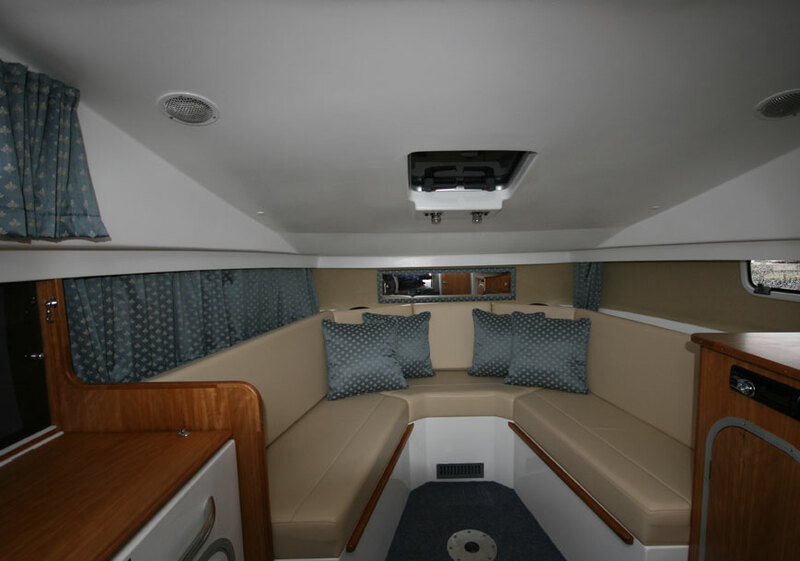 Inspired design has ensured an amazing amount of space inside, and outside boasts safe decks and pulpit, wide bathing platform and transom door for easy of access and convenience. 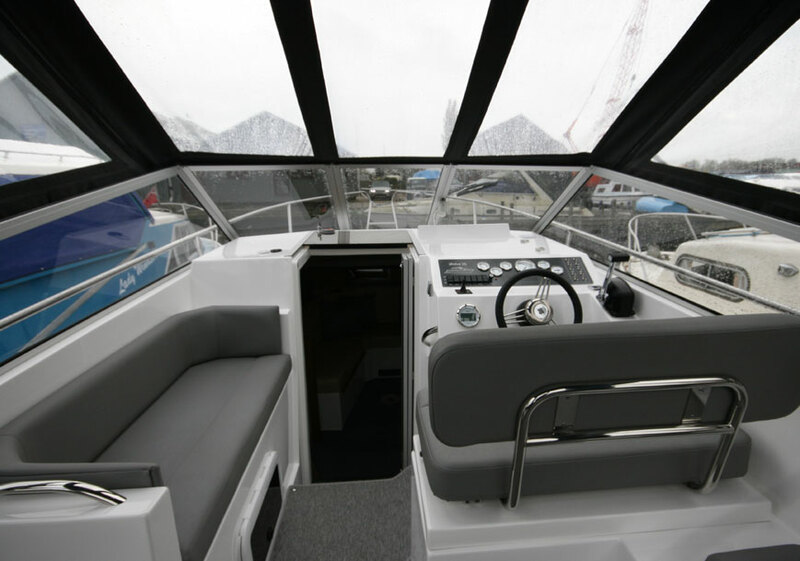 Decks feature moulded non-slip areas, rope locker with deck access. Escape hatch from saloon. Stainless steel pulpit and handrails. Self draining cockpit with corner or bench seating. Twin helm seat with further seating to port makes for a very stylish and sociable cockpit area. Full canopy with removeable sides supported by a lowering stainless arch provides better access under bridges etc. 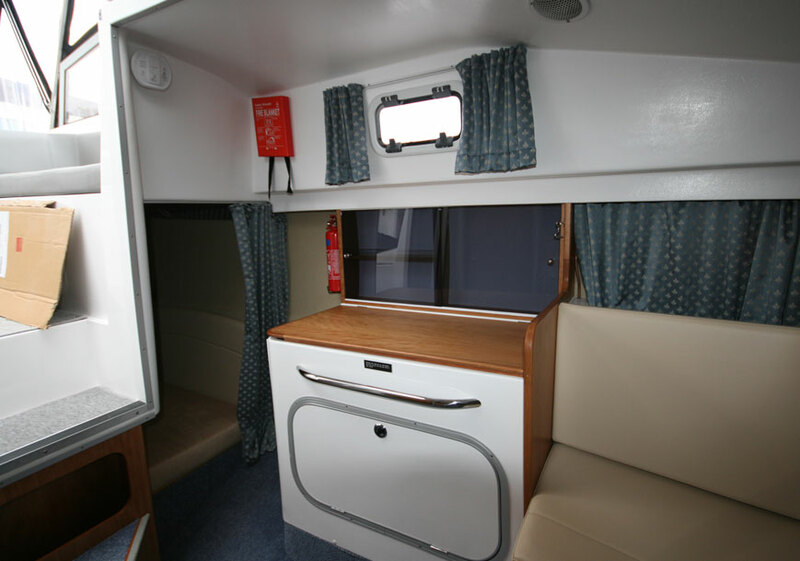 Fixed double berth under rear deck with convertible dinette provides four berths for overnight or longer breaks away. Automatic pressurised hot and cold water system with a grp moulded shower compartment and flushing toilet. Gas locker and regulator with two burner hob(optional oven). Separate engine and domestic batterys with isolators and split charge system. Electric bilge pump. Full lighting through out. Navigation lights. Compact, easy handling river cruiser with deep keel, skeg and supported rudder. Customers can choose their own colour combinations of soft furnishings. Lots of optional equipment choices. Choice of engine size and manufacture. Eco friendly option of electric drive version. All shadow boats are bespoke builds so the customer can make ‘tweaks’ and changes during construction.